Ok, guys. 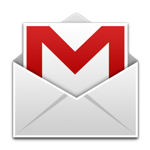 Start your engines - here's the download and instructions you need to get the leaked Gmail 4.2 up and running on your device. Keep in mind that this is an unreleased version so some things may be buggy or broken, though I haven't run into any problems. Note: This APK should work on Android 4.0+. You do need to be rooted. Update 10/15/12 6:21PM: Google asked us to take down the mirrors, and we have complied with their request. The Gmail 4.2 APK is signed by Google, but with a different key than the one in the Play Store (we checked the signatures - they differ). One is probably the test key and the other the production key. For this reason, you can't simply install it as an update and therefore need to be rooted with the ability to mount the /system directory for writing in order to remove the existing Gmail APK. Important: Once Google updates Gmail in the Play Store, you will want to revert this process or at the very least delete the Gmail 4.2 APK you installed here if you want to update it from the Play Store. If you get an error message, you probably didn't delete all copies of Gmail. If you don't feel like playing with ADB for Step 8, I've also gotten it to work by just copying the APK to /data/app, but that's not as fool proof as "ADB install". So far we've seen this work with a stock Galaxy Nexus and an EVO 4G LTE running CM10. Enjoy and report your results in the comments!